When discussing the merit of a keyboard, one of the first questions is often “does it have weighted keys?”You may have heard this and wondered what exactly does weighted keys mean. You might have heard this and wondered why you would want a weighted keyboard. Well, there are some very good reasons for having weighted, hammer-action keys. And there are also a few reasons not to have them. 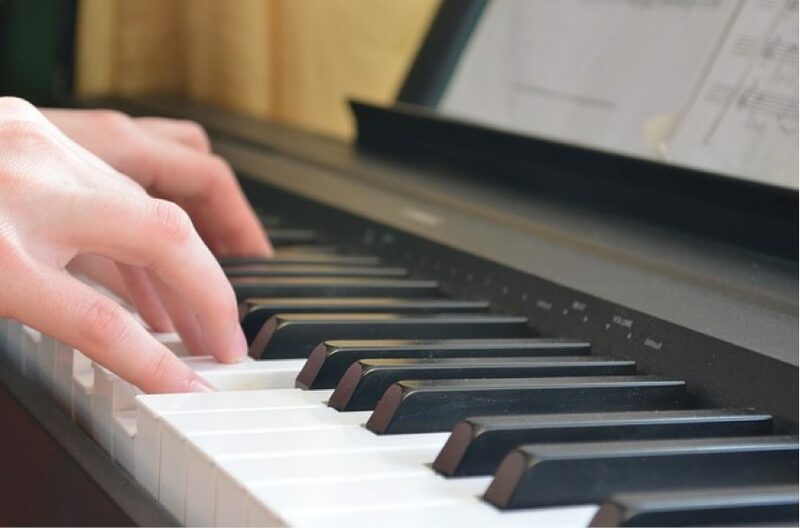 Do you need weighted keys when selecting a digital keyboard? One acoustic piano key typically has around a hundred moving parts, this is mind-blowing when you multiply that by eighty-eight. Without going into the full complexity of engineering we can give you an overview of how it works. In its simplest form, pressing a key will make a hammer strike a string or strings. The vibration of the strings is what creates the sound or note. 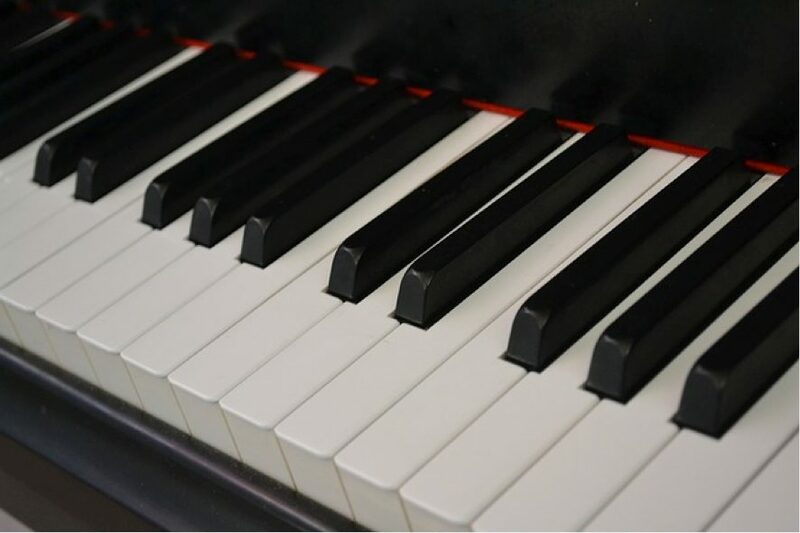 The keys on a piano get progressively lighter from low notes to high notes. Low notes are created by larger/longer strings that require a larger hammer to generate the right sound. As the pitch gets higher, the strings get lighter/shorter and require smaller hammers. Each key is balanced on a pivot point. By pressing a key down, the pivot point naturally causes the back of the key to lift. When this happens, it activates the mechanism that makes the hammer strike, the velocity of the strike depends on how soft/hard you press on the key. The pivot point and lever style mechanism create a natural weight and resistance. Getting used to the weight and resistance is what makes it possible to control the velocity and articulation of each hammer strike. There are variations of this mechanism in different types of piano. Piano keys are wooden, commonly maple or spruce. This adds to the natural weight of the keys which are usually covered with a type of plastic. In older pianos, keys were often covered by ivory which would crack over time. As the name suggests, they offer more weight and resistance than non-weighted keys. Semi-weighted keys are often a happy medium for musicians who don’t want to travel with a heavy keyboard. The keys have a spring action to create some resistance. While not providing the same tension as fully weighted keys, they will certainly give you a different feel when compared to non-weighted keys. One of the things you might notice with hammer action keyboards is that they tend to be bigger/heavier than other keyboards. The reason for this is that they have a lever style mechanism to emulate the feel of an acoustic piano. Hammer action keys provide much more resistance and naturally encourage more expression/articulation from the player. This is an extension of hammer action keys, this time, individually weighted like an acoustic piano. Graded keys are usually a feature you’d find on more premium, high-end weighted keyboards or digital pianos. Because they replicate the weight of individual hammers, graded keys are the closest you will get to a real piano feel. What does it mean to have weighted keys on a keyboard? Why Should You Want Weighted Keys? There are a lot of reasons for wanting weighted keys so let’s start at the beginning. 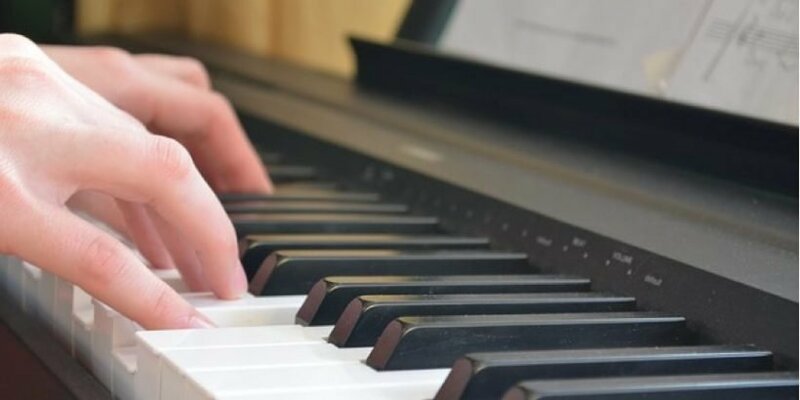 If you are learning piano, then I’d urge you to learn on weighted keys if possible. Weighted keys will help you build the strength and stamina required in your fingers/wrists to play a real piano. The distance between the softest and heaviest velocity you can create with weighted keys will make you notice subtle differences much more. This will force you to think about your touch and articulation more, making you a more expressive player. Some would argue that because non-weighted keys are usually touch-responsive you can achieve the same overall sound. In theory, this may be true, the keyboard will digitally create a sound that exactly matches the pressure applied to the key strike. In reality, this isn’t true at all. With no weight or resistance, you cannot accurately perform the desired velocity and articulation. If you can’t physically feel that range, you can’t develop your sense of touch. This is why I urge people to learn on weighted keys when possible. In my opinion, weighted keys get even more important as you become a better player. 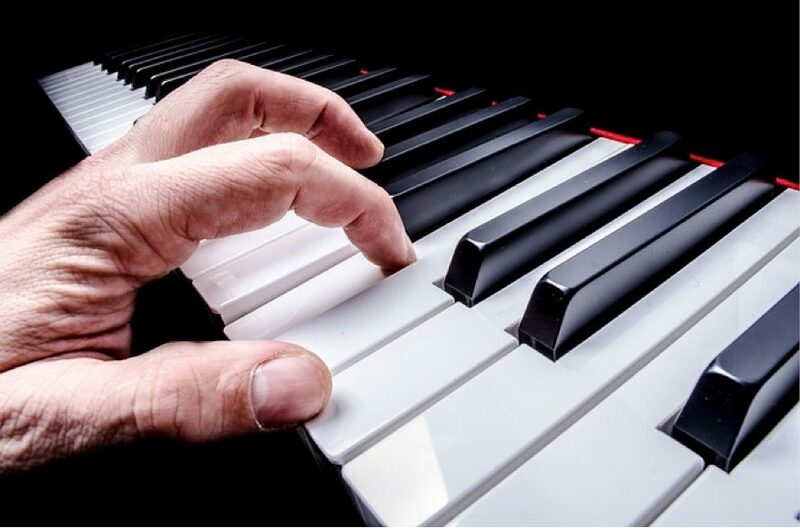 What makes a great pianist isn’t just technique, it’s creativity, personality, and taste. With that being said, the better your technique gets the more you can express the other aspects in your playing. As you continue to develop your touch you become more able to utilize the most subtle articulations. When you start to do this, people start to hear you, and not just the piano. Without weighted keys, I don’t think you can express every aspect of your playing to the same extent. The other thing to consider is that playing on an organ-action keyboard can make it very difficult to transition to weighted keys or an acoustic piano. Of course, the same can be said in reverse but I think it’s far easier to make the adjustment from weighted to non-weighted. When You Don’t Want Weighted Keys? Despite everything I’ve just said there are times when I’d recommend not having weighted keys. What it really comes down to in the end is what you want out of your keyboard. Instruments like a Hammond organ or a Moog Voyager have organ-action keys, with good reason. As you can imagine, the reason is the style in which they are played. When playing an organ sound you often want to employ that choppy, fast note-repeat style. To play like this you want the key action to be as light and fast as possible. Same can be said when playing fast, repeated notes on a synth. Obviously, for this kind of use, weighted keys don’t serve the purpose. If you gig a lot and the piano isn’t the main focus, maybe you don’t need the entire range of expression. In which case, save some heavy lifting and take a lighter keyboard. This is what I meant earlier by semi-weighted being a happy medium. This post was authored by Austin Consordini.